It’s been a while since my last update and with good reason. I’ve been out of communication; no mobile phone reception, no Internet. Bliss. I’ve been treated to a summer trip to Wales by my other half and what better way to get there than electrically. We didn’t have to go by electric car. It wasn’t a necessity, as I have access to various other cars. 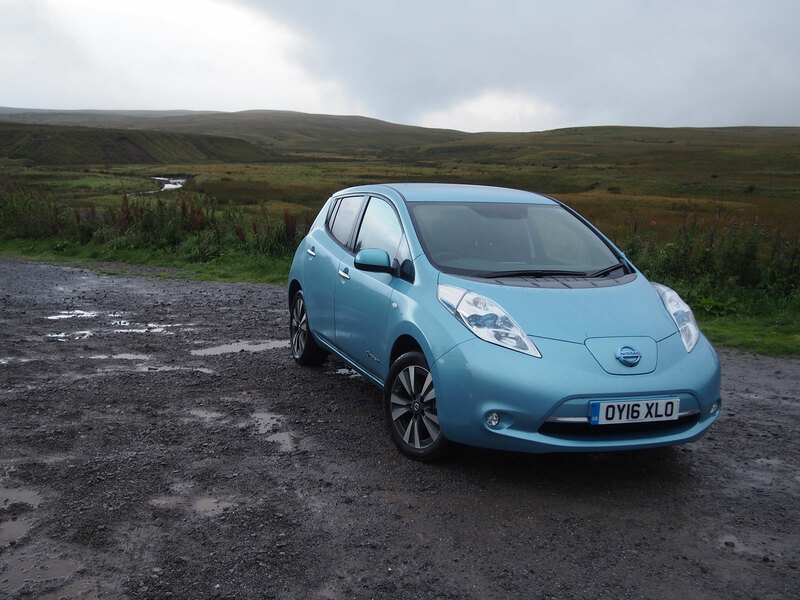 I chose to go electrically because I prefer the relaxing refined drive the Nissan Leaf 30kWh provides. Naturally, heading off to a relatively remote part of the UK equals planning. Not too much, I might add, but some is inevitable no matter what transport is chosen. I started off with the typical approach – plug in the destination to Google Maps. 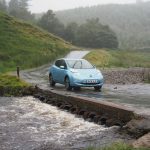 It offered a boring motorway blast all the way, which would also use up a lot of energy, or a more direct route via Oxford, the Cotswolds, Gloucester, Brecon and finally our destination. This appealed far more for several reasons. Firstly, a motorway blast might be convenient but it’s dull and what part of a holiday – even travel – should be dull? Maybe I’m alone on that one. Anyway, the other route was also shorter and made use of scenic but fast roads. Gloucester happened to be about halfway too, a little more than 100-miles away or well within range for the 30kWh Leaf. Then the electric charge point search began. Obviously, the Electric Highway was my first port of call, but there weren’t really any near Gloucester that would make sense to travel to. ZapMap indicated more usable points, either a Nissan dealership or a choice of two CYC rapid chargers nearby. With these saved we duly set off on our holiday. We knew we could charge at our destination as I’d spoken to the cottage owner and they’d said it would be fine, “just bring an extension lead” I was instructed. The journey out was a nightmare of traffic and roadworks that resulted in a four-hour journey to get to Gloucester, rather than the two and a half we’d anticipated. 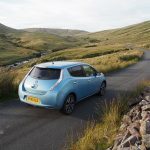 We headed to the Nissan dealership in preference over either of the CYC points as it was free to use and also located near a large Tesco where we could pick up some groceries for the week. We duly plugged in after first politely asking the Nissan staff to move an unregistered Micra that was “ICEing” the EV charging space and within 30 minutes we’d be on our way… or so we hoped. 30-minutes later and the car had only managed to gain 25%. The CHAdeMO DBT rapid charger wasn’t quite as rapid as we had hoped and was only managing to trickle charge at a piffling 33Amps. This wouldn’t do at all, as the Nissan garage was going to close at six-o’clock and it was five-o’clock already. 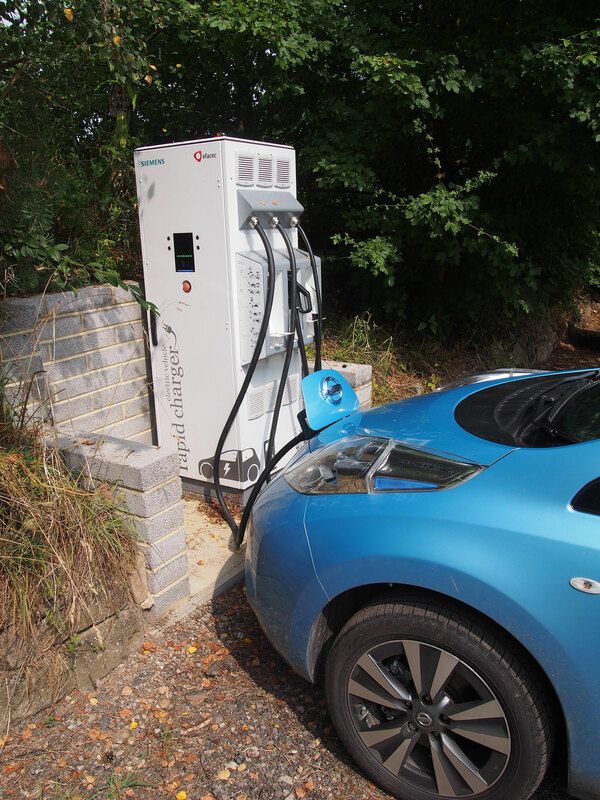 We decided to head over to the nearby CYC charge point, located only a mile down the road. We plugged in, loaded up the app and clicked start. A few minutes later the app reported a timeout and that the charge coudn’t be started. We tried another time and then another different device just in case. There was nothing wrong with our internet connection and the charge point appeared to be okay too. Unfortunattely, I didn’t have a CYC RFID card that might have made the thing work. So, there was nothing for it but to head back to the Nissan garage and hope that the CHAdeMO would charge up a bit more rapidly than before. We duly headed back, plugged in and considered our options. We might be able to get enough charge to get to our destination, if the rapid charger picked up pace. Or, if we weren’t able to and had to abandon the Nissan charge point because it was out-of-hours, we found that there was supposed to be a ZeroNet 7kWh charge point in the same car park as the failed CYC rapid. So, we’d have to plug in there and sit for a couple of hours to get enough charge to head onward to our destination. All the while, the minutes were ticking by. By six-o’clock, we had to vacate the Nissan dealership. The workers there were very good in trying to help out and in ensuring we would be able to get to our destination, but obviously their hometime was well deserved and we had to move on. 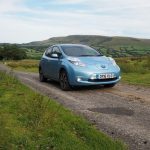 Fortunately, the rapid charger did pick up the pace and we now had 75% charge – but still not enough to reach our destination some 90 miles away, and up-hill too. Off to the CYC charger we went again, this time calling a friend to see if they could remotely activate it. They couldn’t, so we found the 7kWh ZeroNet point and prepared ourselves for a bit of a delay… again. By 90% charge, we were ready to go on our way, although by now it was late and getting dark. We wouldn’t get to enjoy the Welsh hills that we had hoped to in daylight and instead after an already unecessarily exhausting journey, we were forced to travel at night. We eventually reached our destination at ten-o’clock, some five hours later than anticipated. As mentioned, part of this was due to the amount of traffic getting away from London, but the charge point debacle at Gloucester cost us dearly. Once at the cottage, the owner was more than helpful in making sure we could get plugged in. They told us of their daughter who had owned an electric car and it was obvious this wasn’t alien technology. 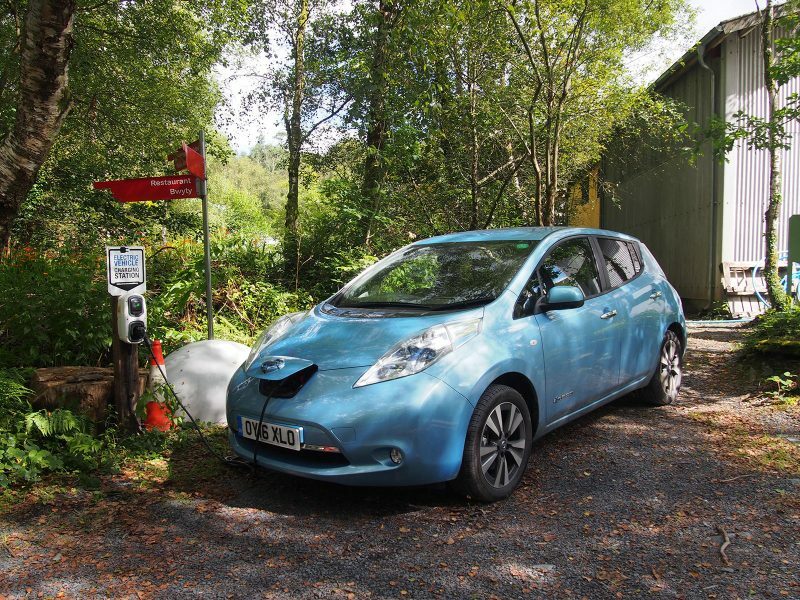 We’d have to plug in using an outdoor three-pin plug all week, but the Leaf’s range should be more than adequate for visiting the sites we’d earmarked before going. The extension cable we’d been told to bring was woefully short – our 8-metre cable was some 20-metres short. Thankfully the cottage owner came to our rescue with a waterproof extension and we were setup for the week. The furthest we travelled during was a trip to the Centre for Alternative Technology (CAT), located in south Snowdonia National Park. It was a 124-mile round trip and we got there having used just 43% battery. 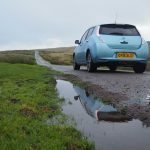 Naturally, the journey back to the Brecon Beacons would be an uphill struggle, so we charged up at CAT using their fast 7kWh ZeroNet charge point. As before, ZeroNet had come to the rescue and its no fuss plug-in and go solution was ideal. No RFID cards, no Apps, just straightforward charging as it should be. 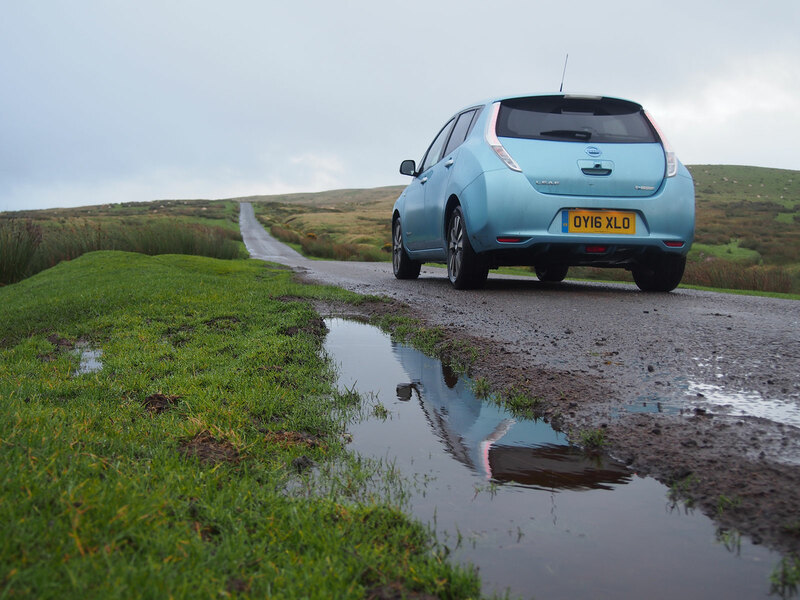 Every other journey from the Brecon Beacons was within the range of the Leaf. We never ventured further than 50% (about 55-miles if driving hard or uphill) and the lowest charge we returned to the cottage with was 7%. After charging each night, I calculated that we had used just 140kWh over the entire week. Our cottage owner was on an Economy7 tariff, but we gave them an additional £20 just to be sure we’d cover the additional electricity used. Wales also happens to have a number of National Trust charge points that can be useful if you’re visiting one of their sites. They have a list online and there are more being added all the time. We didn’t make use of any of these while visiting, as we didn’t need them but they’re very handy if you do. Most are simply plug and go, but others – apparently – require you to ask at reception for someone to turn it on. For our journey home, we were slightly apprehensive about using the Nissan garage and/or the CYC point that had failed us on the outbound journey. However, a reassuring message from CYC on twitter informed us that the charge point had been fixed by an engineer and now should work with the App. We gave it a go. 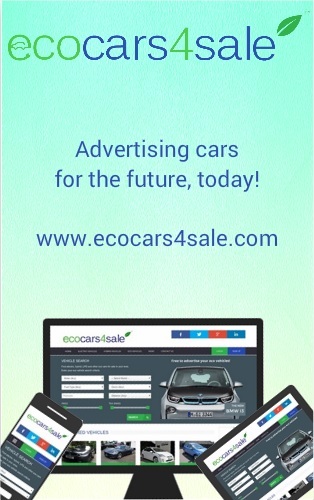 The App started the charge point straight away, as it should, and after just 30-minutes the car was at 95%. Ideal. We then tried to stop the machine, but there was no means to do so. 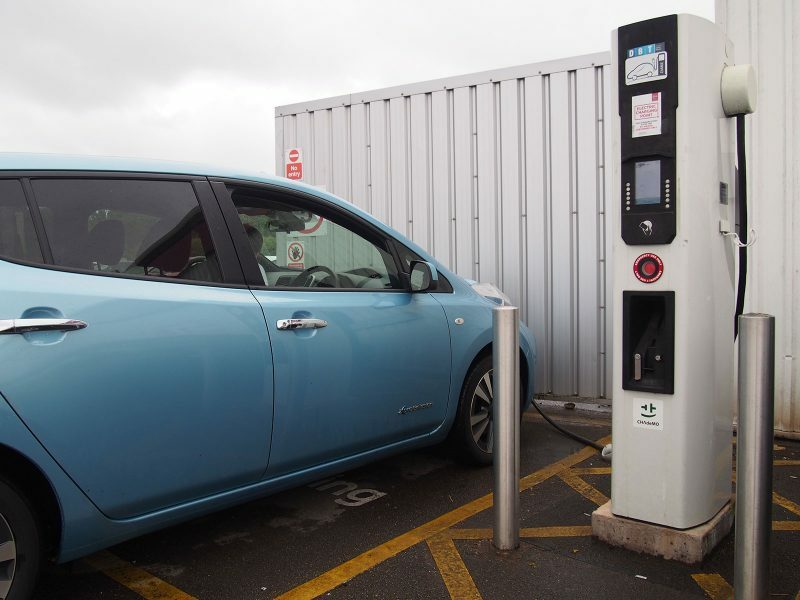 The App decided that the charge point “no longer exists” and the small touch-screen on the machine merely displayed information about the costs. With no means to stop the charge, I was about to call up CYC’s helpline when the charge stopped of its own accord. It had reached 100%. Excellent, but this goes to show the failing of remote Apps to control a machine I’m stood beside. Overall the trip to Wales was a success. The car performed faultlessly and was an excellent companion for traversing mountains and valleys. 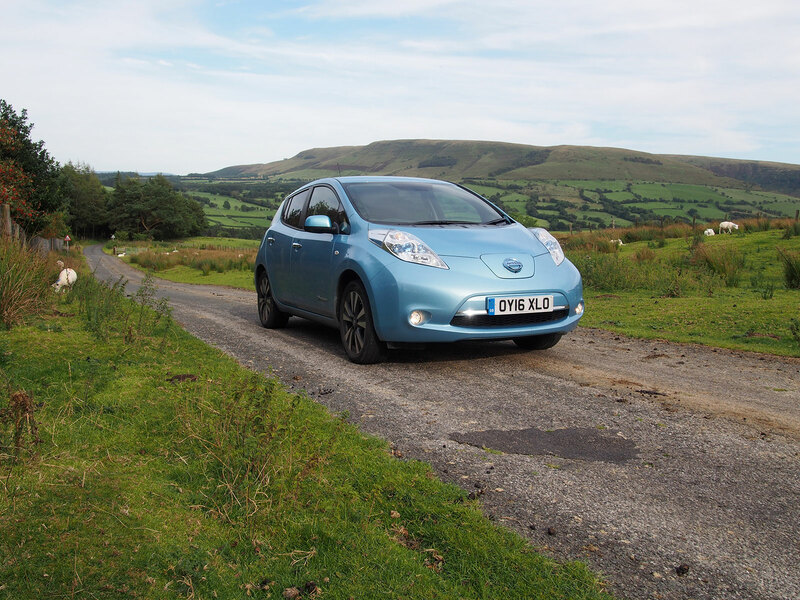 Electric power is unquestionably better than an equivalent petrol or diesel in this terrain, providing “mountainous” levels of near-instant torque. 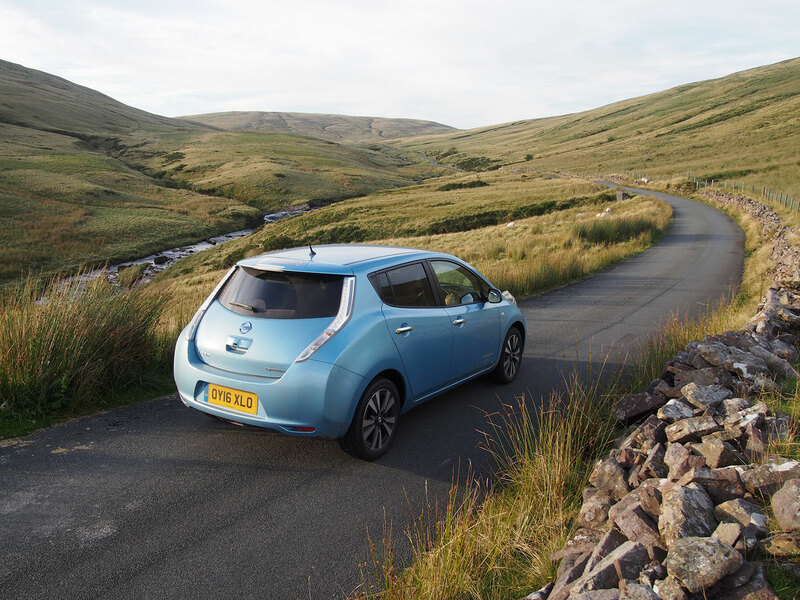 No hill was too high and scenery can be that much more enjoyed by electric power, rolling effortlessly through serene open hills surrounded by sheep with the windows open wide. It gave a sense of being at one with nature and this made the journey there worthwhile. On the other hand, the charging network needs more testing. It’s great that there was a choice of three rapid charge points near Gloucester and other fast charger options too. 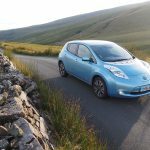 However, Nissan dealerships should perhaps refrain from installing charge points that are only accessible during office hours, especially if they are of limited speed. We’d only intended to be at the one near Gloucester for 30-minutes but ended up being there over two-hours and only left because of their closing time. Likewise, the move toward Apps to control charge points is worrisome. I’m a big EV advocate. 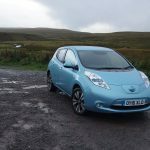 I love electric cars, but I am beginning to dread charging despite significant experience with various networks and cars. The needlessly overcomplicated system needs a massive overhaul and it can’t come soon enough. At the risk of sounding like a broken record, RFID cards and Apps are not the most effective method for a public network of charge points. I appreciate these are simpler for the charge point network installer, but they’re a terrible idea charge point networks actually want to encourage adoption of EVs and the use of their chargers. I’m not suggesting that they be made free, as most are more than happy to pay for the energy they use, myself included. But there needs to be an alternative, whether it’s credit card payment at the charge point (like self-serve petrol pumps), contactless payment or another system. A reliance on smart phones and an assumption that we each have a data tariff plus reception in often middle-of-nowhere charge points makes it all too easy to have a failed charge session when this ought not be the case. It’s not all doom and gloom, however, as when it works it really does. 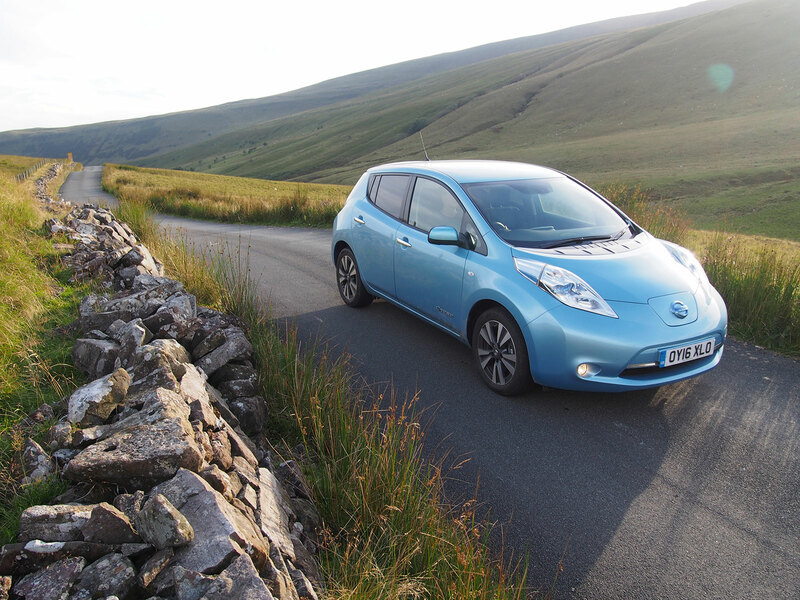 A 30-minute charge in the midst of a 200-mile journey is a welcome break as our return journey proved. 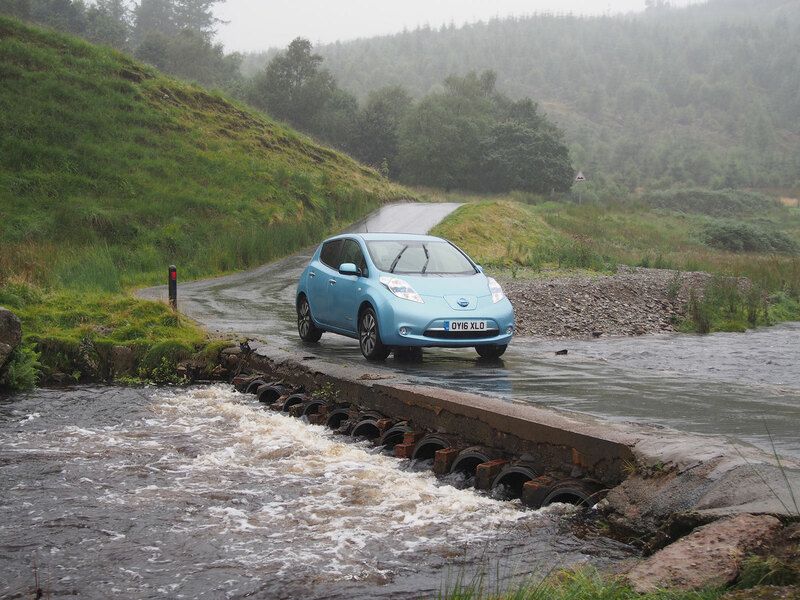 And the electric car itself was a superb companion. Reliable, relaxing and a rocket ship up the hills.